Our leading technologies and services create value on a global scale. Important Information on the Irish Dividend Withholding Tax. 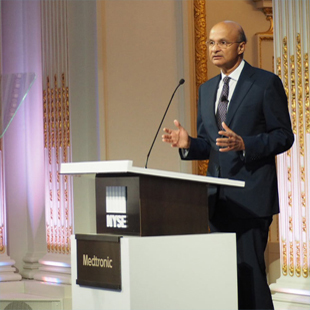 Medtronic Q2 revenue results and financial tables. View snapshots of revenue and earnings, trading statistics, balance sheet, income statement, cash flow and ratios. Read more about our Sustainability efforts. 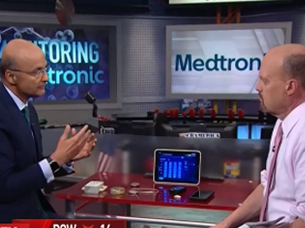 Medtronic CEO, Omar Ishrak sits down with CNBC’s Jim Cramer, to talk about the company’s analyst day and it’s fastest growing products. A video history of the company.